Healthy growth with a CAGR of around 6% is forecast for the packaging market in the latest packaging report – The Global Pharmaceutical Packaging Market 2016–2020 – from Research and Markets.1 Packaging is becoming ever more complex as it is expected to do more, i.e. to engage with the consumer, to improve compliance and warn against tampering. Pharmaceutical manufacturers and contract packers, meanwhile, are faced with many challenges not only from non-compliance warning letters and recalls but also from continual package component changes (resin and film changes). 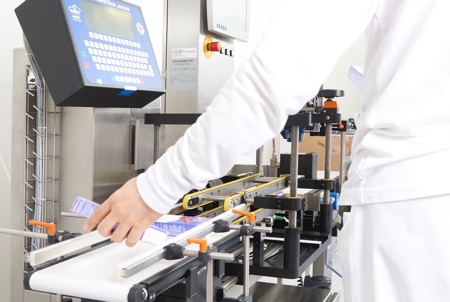 It is increasingly important to stay on top of packaging guidance and regulations, particularly directives such as those for serialisation and track and trace technology, which require time and investment. Companies also face longer and more rigorous package validation testing requirements. Among the key trends identified by the organiser of Pharmapack Europe (taking place in Paris on 10–11 February 2016) are the ongoing implementation of track and trace technologies and the impending European falsified medicines directive. Similarly, the European standard EN 16679, has recently come into effect and provides guidance for the application of tamper verification features to the packaging of medicinal products. By 2018, all prescription medicine will be required to include a tamper verification feature. It also says combination products will be a key area for 2016, with the integration of human factors engineering (HFE), design for manufacturing (DFM) and design for assembly (DFA) seen as the foundations for the development of this product class. Ultimately, it is envisaged that industry will see the emergence of smaller and smarter combination products, and that by examining manufacturing scale-up, concurrent with the development process, the time to market will speed up. Technologies and packaging that can improve patient adherence will remain a key growth area. In oral solids, the discussion for the past 30 years has essentially been bottles versus blisters. But in 2016, companies will be seeking better packaging options for pharmaceutical doses. 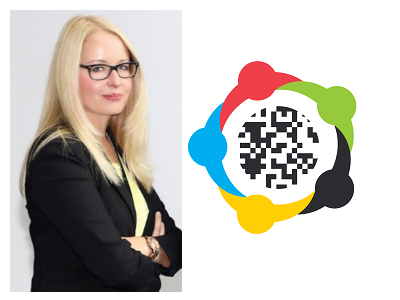 Moreover, the drive for packaging to communicate with patient and healthcare professionals is growing – whether driven by regulatory agencies (serialisation and traceability) or consumer groups. According to Pharmapack, ultimately, packaging will have the scope to communicate, or be involved more directly, in the relationship between consumer and physician. Outsourcing is also likely to accelerate, with prototypes and innovations now emerging from the contract services sector itself. With more drugs being administered in injectable form, the rise in demand for ampoules and vials is a major trend. Increased adoption of prefillable syringes is a driver because of the rise in chronic diseases where patients need to self-administer regularly. This is fuelling innovations such as multi-chambered syringes and technology to minimise leachables and extractables. Biologicals are sensitive to extractables and leachables and much work has to be carried out on drug and packaging component compatability. It has been practice in some hospital pharmacy applications to transfer drugs held in vials into syringes that are easier for clinicians to use. But interaction with the rubber stopper in some batches of syringes could result in drugs losing potency. In September, the FDA revised guidance for health professionals concerning the administration of drugs prepared in Becton Dickinson (BD) syringes. When administered immediately, the risk of potency loss is low. But if carried out in advance, then the effect on the drug is often unknown. Thus the FDA’s advice to hospital pharmacy units was not to ‘administer compounded or repackaged drugs that have been stored in any of the syringes unless there is no suitable alternative’. The industry is also responding to concerns about packaging and drug interactions. Aptar Group has introduced PremiumCoat stoppers for sensitive drugs, where the surface of the elastomer is coated with an ethylene tetrafluoroethylene (ETFE) film based on an approved formulation. This acts as an effective barrier to many of the extractables and leachables that can be released from the elastomer. As a result, compatibility of the drug and the closure is superior. Its first design was a 20mm coated stopper but a wider range will be on show at Pharmapack and it will soon extend to other products. With glass vials and ampoules, glass delamination has been an issue. Schott has developed a large pharmaceutical vial with reduced delamination propensity that decreases the risk of product recalls. In a project for a US-based biotech company Schott succeeded in applying its manufacturing process for delamination controlled vials to a customised 50ml vial. The company has also developed a chemically strengthened glass cartridge that is up to three times more resistant to breakage, designed to offer protection for expensive or toxic drugs and medications where failure is not an option. 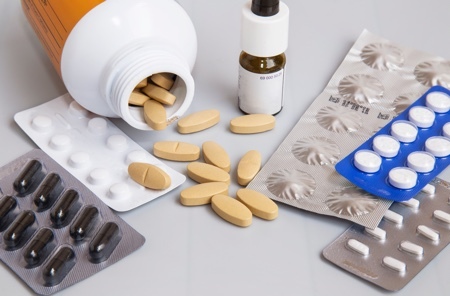 Blister packaging solutions also require lengthy material selection to ensure that drugs are protected from light, humidity, temperature and oxygen. Bilcare Research, Delaware City, US, is offering a more expedient process for determining the optimum blister film barrier properties for the packaging of pharmaceutical products. It found that the vast majority of packaging-related stability failures can be ascertained by systematic analysis of the product’s physical attributes, as opposed to more stringent, time-consuming chemical testing. Using its streamlined process called FastPack, it claims to identify a product’s two most optimal packaging materials in terms of cost and barrier protection in 15 business days. It puts products through a variety of tests, including those measuring hygroscopicity, hardness, friability and photo sensitivity, and also provides a machine tool drawing, a packaging cost analysis with material specifications and testing methods, and samples of recommended packaging materials. New blister materials offering better protection are also being developed. ‘A wide swath of pharmaceutical products are increasingly moisture sensitive – which is the reason why absolute moisture protection has become so significant for the industry,’ said Frederick Lutz, a Regional Sales Manager for Constantia Flexibles in the US. The company has introduced a blister solution offering the ‘highest possible protection against moisture ingress’. Substituting traditional PVC with a special polyethylene desiccant layer, Constantia DryFoil is a customised concept for unit-dose applications offering significantly extended product shelf life. The solution is compatible with a broad range of PE-based lidding materials that run on standard cold form blister lines. Packaging equipment speeds for liquid dose products continue to increase but so do the packaging stresses of high speed handling. 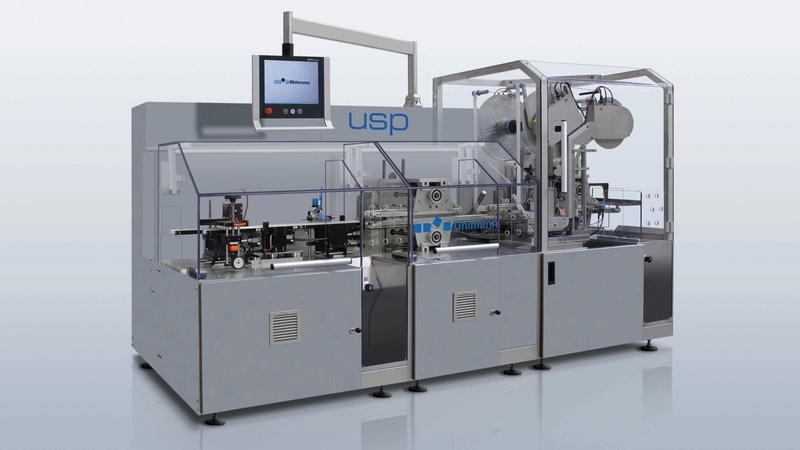 Uhlmann Packaging Systems, of Towaco, NJ, has introduced the BLU 400 Blister Machine, specifically designed for the secondary packaging of liquid dose products such as ampoules, syringes, vials, cartridges and bottles. The BLU 400 ensures safe and gentle product handling throughout the entire packaging process. New safety functions protect against heat, breakage or mix-ups for even the most susceptible products. Capable of producing and filling 400 blisters/minute, the machine can operate on as many as eight lanes with a maximum forming depth of 42mm. It can handle ampoules, vials, cartridges, bottles up to 30mm in diameter, and syringes from 6.5mm to 26mm in diameter. In response, the supplier of solutions for injectables has come up with ready-to-use and validated (RUV) components. Its Daikyo RUV are manufactured using clean, high-quality elastomer formulations and then washed, camera-inspected and sterilised. Pharma companies continue to look for ways to optimise cartoning, labelling and leaflet packaging options. Healthcare packaging solutions provider Platinum Press, Texas, US, offers Combination Carton, a combined carton and insert in which the insert is consolidated into the carton itself. 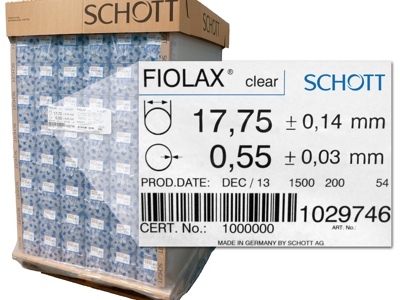 A window on each carton makes inserts visible for quality assurance inspection. Since fewer overall packaging components are needed, the carton/insert combo cuts manufacturing costs significantly by increasing line speeds and diminishing machine downtime. Every insert and carton is electronically scanned and inspected to confirm a match. 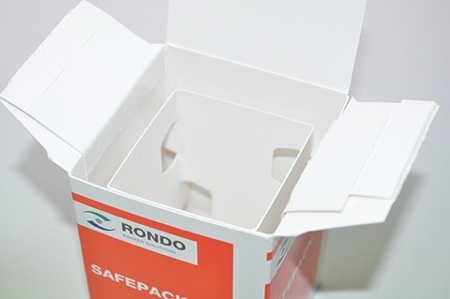 Meanwhile, Rondo-Pak, part of Koerber Medipak, has produced a shock- and vibration-resistant folding carton that is ideal for steriles or liquids that require extra protection. Designed to naturally dissipate vibration, the result is dramatically reduced breakage potential for glass or other contents. Safepack’s double-walled construction and auto-actuating cushion flaps on its top and bottom protect against severe impact and provide higher crush resistance than standard cartons. In addition, Rondo-Pak’s Multimedia Carton is equipped with several consumer engagement features, including a thin, lightweight HD video screen – complete with sound – built into the inside lid flap. Blending both print and digital content, the cartons can also contain digital watermarks on web-enabled outer packaging, providing additional product info or special offers to consumers via smartphone at the point of purchase. Interactive packaging will be a common theme in future. Entering into this area, contract packaging company Jones has formed a partnership with developer of printed electronics and smart systems, Thin Film Electronics, to integrate smart technology into Rx and over-the-counter product packaging. 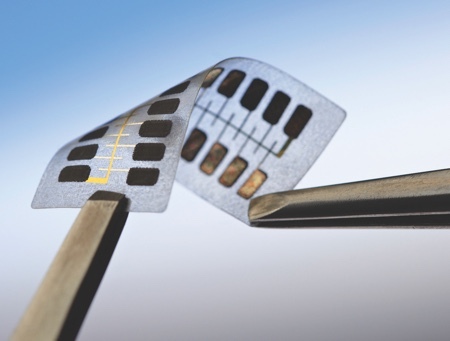 Thin Film’s NFC OpenSense tags, for example, are thin, flexible labels that can detect product tampering and contain unique identifiers that make it possible for pharma companies to authenticate products and track them to the individual-item level. The tags remain active even after a product’s factory seal has been broken, empowering brands and medical staff to extend the dialogue with patients. The companies plan to integrate Thinfilm’s NFC OpenSense technology into paperboard pharma packaging and establish manufacturing processes for production on high speed lines.